The chess world held its breath, justifiably, as the Candidates tournament unfolded in Berlin, with the cream of the crop playing. While some tournaments never seem to live up to their promise of excitement, such was not the case in Berlin. Even at the very end, no one knew for sure who would emerge victor, but it was all guts and glory for Fabiano Caruana, who shrugged off a dramatic loss to Sergey Karjakin in round twelve, to conclude with two big wins and take clear first. Fabiano Caruana not only won the Candidates to set up a match we had seen coming for many years, but earned 20 Elo for his efforts and is smack in the 2800 club once more. Even though it was not nearly as dramatic a draw as the Candidates, Ivan Saric emerged victorious in the European Championship, which was held concurrently, winning a crucial last round game against much higher rated David Navara. He too garnered 20 Elo for his efforts. Finally, a special shout out to Russian talent Vladislav Artemiev, who has been knocking on the door of the 2700 club for some time now, but never seemed to get past the bouncer guarding the entrance. He needed just a handful of Elo, but his four points gained were enough to get him in. Interestingly, two players outscored (outgained?) the big winners above: Gawain Jones and Jeffery Xiong. 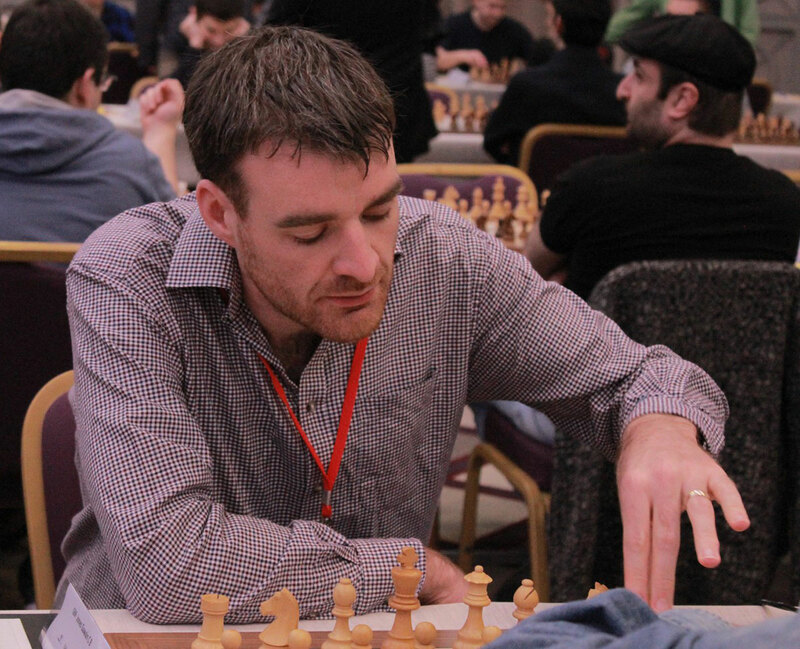 Gawain Jones was one of the leaders throughout at the European Championship, out-pipped in the very last round, and forced to settle for a tie for 2nd-8th. Nevertheless, it was a close thing, and he had played magnificently as he earned 24 Elo in April, for the second highest leap forward. Another big winner was the American junior Jeffery Xiong. For the last year, the talent had seen his rating slip, as he seemed to be making adjustments to his game. 'Growing pains' was how some veteran GMs described it, but he seems back on the winning track, and with a big win at the Spring Classic held in St Louis, USA, he gained 25 Elo and is back to 2665, the highest rated American junior by far. At the very top, there was not much happening, either in games, or ratings shifts, but a little below saw 28-year-old IM Deimante Cornette from Lithuania score 6½/9 at the Reykjavik Open and rake in 20 Elo for her final tally of the month. The Juniors saw a number of interesting rises, which albeit are hardly surprising, in some cases promise a collective change very soon. To clarify, the first would be Iran's youth on the fast track. In the previous Olympiad at Baku in 2016, Iran had fielded a very young team overall, with only one player over 30, and every other one a teenager. These young guns were all talent and lack of experience, but were knocking on 2500 Elo overall. Fast forward the calendar and those same names are now averaging 2600, which means a whole lot of headache for their opponents. 17-year-old Parham Maghsoodloo passed 2600 in the previous list, and is now shooting 2615. His 16-year-old compatriot IM M. Amin Tabatabaei has packed on 140 Elo in the last two years and from 2466 in April 2016, is now 2605. With such a rating, presumably the GM title is only awaiting the next FIDE Congress. It doesn't end there though, as IM Alireza Firouzja, 14 years old, is now 2572 FIDE. It will surprise no one to learn these three were also the top three finishers in the recently held Iranian Championship. Another nation has good reason to be puffing up their chest in pride: India. At the top of the gains is GM Murali Karthikeyan, 18 years old, who gained 26 Elo and is also past 2600 for the first time at 2617. Of the two super prodigies regularly reported at ChessBase News and all other chess resources, IM Nihal Sarin has now opened a significant gap over his slightly more famous colleague and friend, R. Praggnanandhaa (youngest IM ever), whom he trailed slightly for quite a while. This is in no small part due to his recent GM norm at the Reykjavik Open, which gained him 17 Elo as well. The 13-year-old prodigy has now gained 64 Elo in the last five months! With the exit from the Girls list by the Chinese player Lei Tingje, Alexandra Goryachkina is once more the queen of the list, though not for long as she approaches her 21st birthday. She was the most active of the Girls with 20 rated games, but her rating has really been moving sideways for the last couple of years already. Two interesting additions to the Girls list this month, however, come from India: Two 12-year-old girls appeared on the Top 100 Girls list for the first time, each with ratings exceeding 2200. First is Ravi Rakshitta, who is now boasting a 2270 FIDE rating, and then comes WFM Divya Deshmukh, who is now 2220 FIDE. Diyva, it should be noted, earned her title by winning the Asian under-8 Girls championship in 2013. The Tal Memorial, held in Moscow, was an elite Rapid and Blitz tournament, with a Who's Who roster of players. Even with notable names of the day such as Shakhriyar Mamedyarov, currently world no.2 in standard, and a vicious rapid player, as well as speed demons such as Hikaru Nakamura and Alexander Grischuk, the clear winner was none other than 5-time World Champion Vishy Anand. This merely confirmed his result at the World Rapid last year, and his stature. As a result, he is now world no.3 in FIDE Rapid games, and just 5 Elo short of overtaking Leinier Dominguez as no.2. 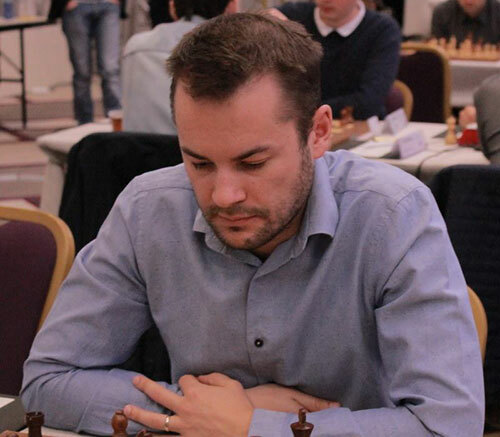 With two large events in Russia, inviting the best blitz players around, several players turned up with 31 games rated, and two took the opportunity to reaffirm their majesty: Hikaru Nakamura raised his rating to 2869 to take the clear world no.2 spot, while Ian Nepomniachtchi added 78 Elo to his to settle into the no.3 spot. @rokko - Indeed, a typo and has been fixed. Cheers.